What If You Could Predict And Shape The Future? Perform “What-If” analysis on complex business scenarios giving you the optimal path forward. 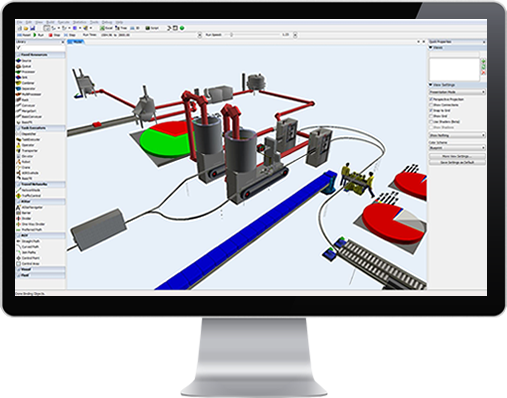 At TMN Simulation, we have the expertise, experience and the resources to help you model and simulate complex interactions quickly and cost effectively. 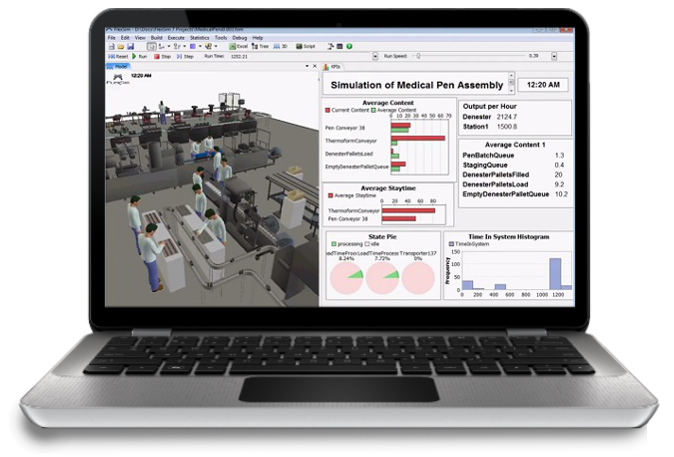 Simulation modelling is the single most powerful tool available to analyse and visualise a business environment. It’s often not practical to stop operations and try something, just to see what might happen; it may be too expensive, too risky, too structured, not enough time, an inflexible live system. However, you can simulate it. Working together we create an accurate, working, 3D simulation of your environment that allows you to try out plans and resource mixes just to see what might happen. Unlike the real world equivalent, you can try even the most extreme scenarios without any risk or implications. If things go wrong, life doesn’t have a RESET button, but simulation models do. Our Simulation Models are created using the world leading Flexsim Framework onto which we can overlay our Predictive Analytics & Decision Support System (PADS)! We don’t just leave you to it once you get the tools. TMN Provides full training and mentoring packages to suit your requirements. We work in many industries, here's a sample of some case studies, use cases and simulation concepts. Find out how our Simulation Modelling Experts can help you make better business decisions.